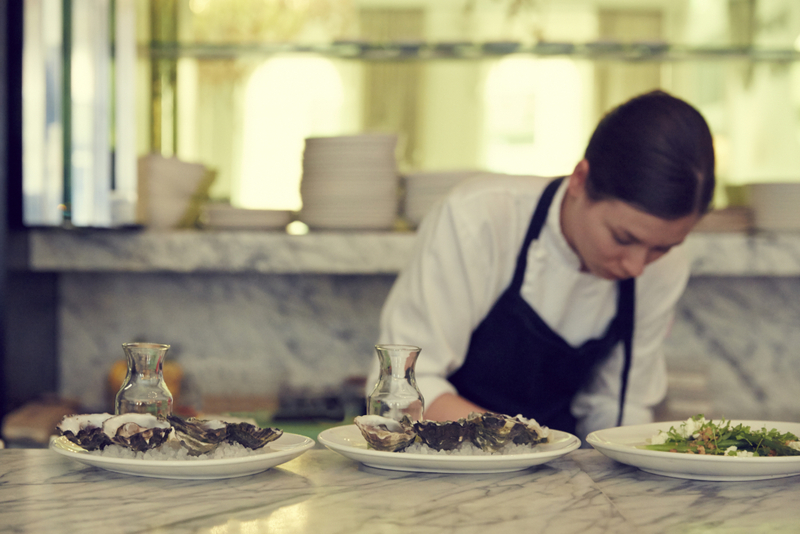 The Stokehouse has risen from the ashes and been resurrected as Stokehouse City in the CBD. So what is the restaurant like without the iconic beachfront location and ocean views? 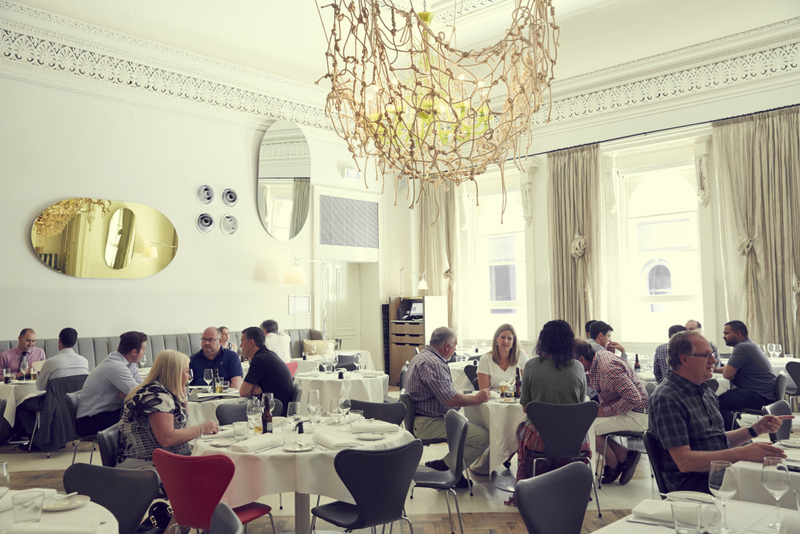 The grand Victorian building in Alfred Place isn’t a stranger to fine food and dining. The landmark venue was previously home to Comme and the legendary Mietta’s high end-dining salon in the 1980’s. After being destroyed by a fire in January 2014, the Stokehouse has now taken permanent residence. Stokehouse City has cleverly reinvented the upstairs/downstairs concept of its former residence at Jacka Boulevard. You can expect a casual affair downstairs, but if you venture up the grand staircase, you will enjoy a relaxed fine dining experience. The restaurant has attempted to bring a beach aesthetic to the city, while retaining some of its original grandeur. Dark toned hues and embellishing of the former Comme have been traded with more subtle features, embodying the Stokehouse of old. Sand-like patterns are scrawled across parquetry floors, bathing box lampshades radiate pink hues while glass chandeliers, covered with knotted rope, dangle precariously under the soaring six-metre ceiling. Beach associations aside, there are elements of the design that feel out of place in such a sophisticated establishment. Perhaps the graffiti clad paintings, glitzy gold curtains and mismatched chairs have taken it a bit far. There is no doubt that glimmers of the original Stokehouse spirit remain, but something is missing which is difficult to recreate– it lacks soul! At times I can’t work out what it’s trying to be. Ollie Gould, who was awarded the Young Chef of the Year title in The Age Good Food Guide in 2014, has crafted the largely Mediterranean inspired menu. Ollie’s signature style is centred on using high quality produce to create seasonally driven dishes with creativity and finesse. We started with an entrée of Mooloolaba king prawns ($27.50), a dish that took me on a culinary journey to the seaside of Sardinia. Resting on a bed of al dente fregola (toasted semolina pasta) and tomato broth, the plump prawns were cooked to perfection. Further bursts of flavour from a rich stew of cherry tomatoes, chilli and garlic balanced the nutty finish of the fregola beautifully. 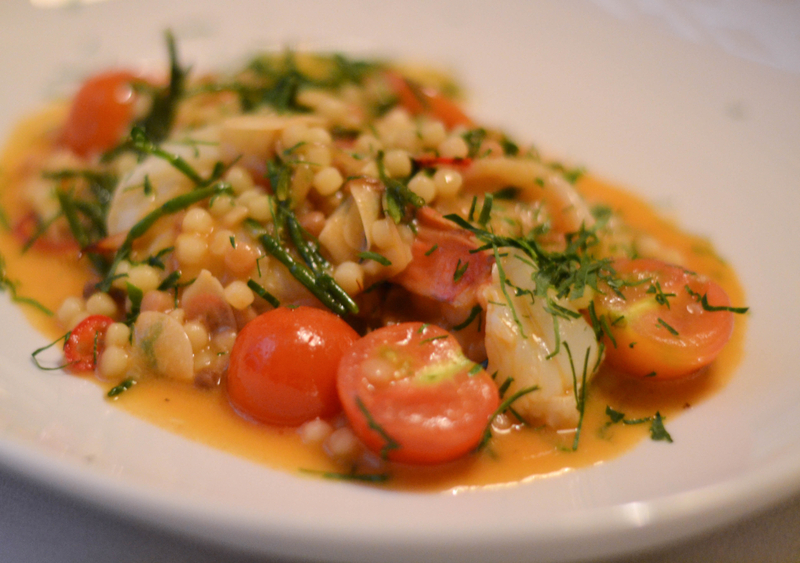 A sprinkling of crispy samphire was just enough give the dish a subtle jolt of salt. 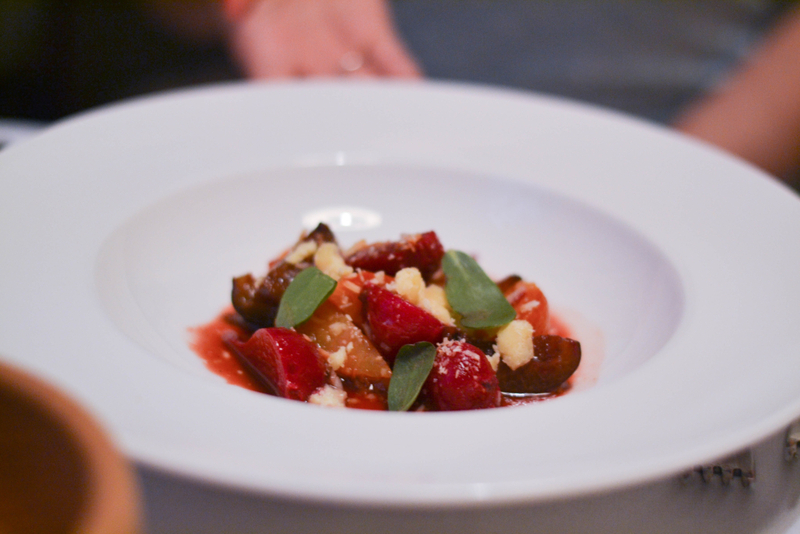 Equally pleasing was the baby beetroot and sugarplum salad ($22.50). The earthy tones of the beetroot combined marvellously with the honey- fleshed plum to deliver a summer dish bursting with fun and flavour. The pickled sugarplums were infused with star anise, juniper, fennel seed and peppercorn to heighten their fruity punch. Chunks of bitey aged cheddar and toasted macadamias were welcome textural intrusions, while a shallow bath of vincotto provided the salad with a delicate balance between sweet and sour. 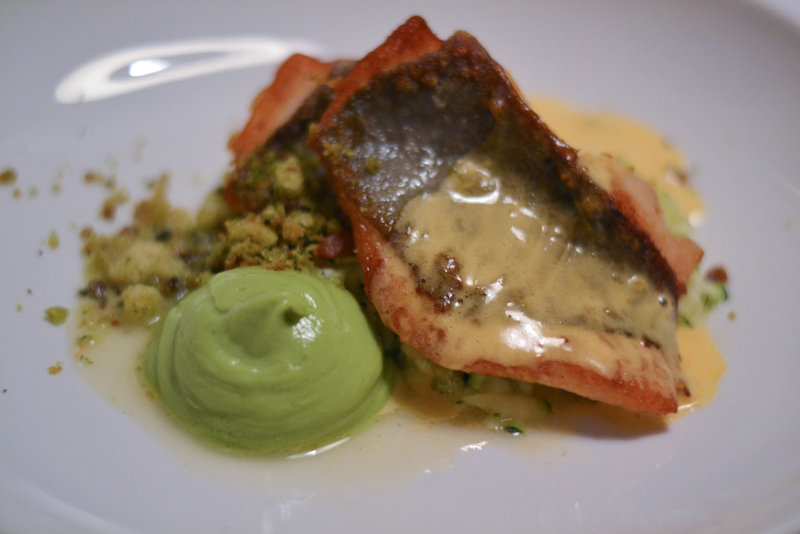 A fillet of John Dory ($43.50), achieved a succulent golden skin, which flaked effortlessly off the fleshy centre. The partner in crime – a decadent crayfish sabayon – oozed a yellowish sunflower gleam. Crispy, moreish crumbs of tarragon pangratto were paired with a ridiculously smooth piping of avocado and sautéed zucchini. 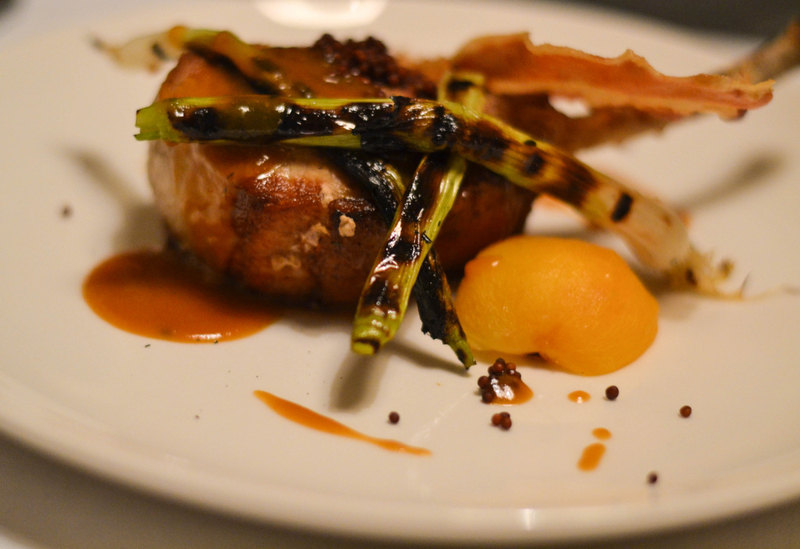 The Western Plain’s pork cutlet ($43.50), was the let down of the evening, paling in comparison to the other dishes. Crowned with char grilled spring onion and crispy pancetta, the cutlet was overcooked and did not have enough sauce to provide moisture. The addition of apricots and mustard seeds was clever, but the toughness let it down. 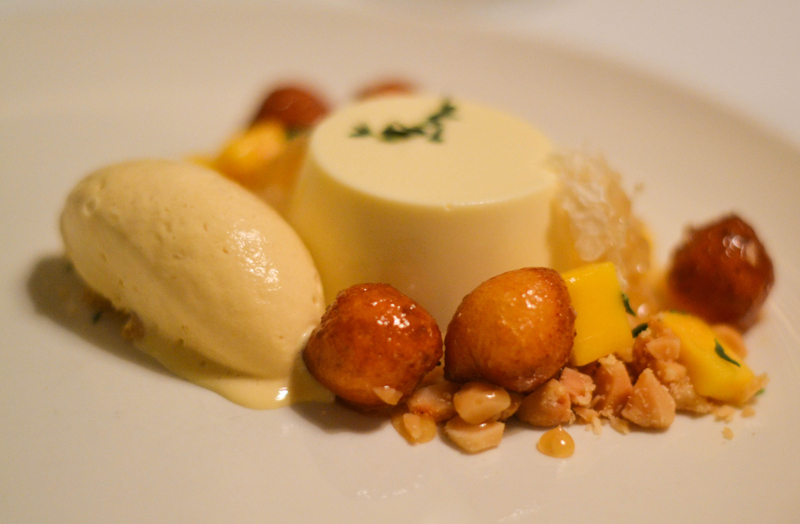 From the dessert menu, the honey panna cotta ($18.50) was the hero of the evening, holding its integrity delightfully with a slight wobble. Warm ricotta doughnuts resembled tiny golden nuggets and were doused with honey and crunchy macadamias. Freshly diced mango and The Apiarist raw comb honey, paired with a luscious macadamia ice cream, had my taste buds singing for more. A picture perfect plate of Eton mess ($17.50) was paired with lemon and raspberry to create a delicious summery dessert. 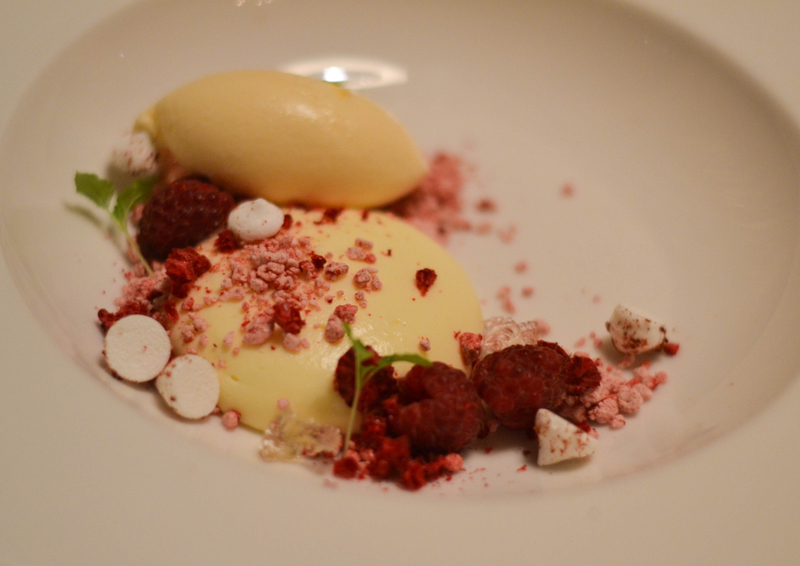 Lemon curd and buttermilk ice cream were sprinkled generously with fresh and freeze-dried raspberries to deliver a plate of textural surprises. And you can’t go past their signature ‘The Bombe’ – a delicious concoction of white chocolate parfait, strawberry sorbet and torched silken meringue. If you expect the old Stokehouse by the sea at Jacka Boulevard, be prepared to be bitterly disappointed. The younger sister has attempted to bring the beach vibe aesthetic to the city but for me it lacks soul. Expect some real hits on the menu from the talented Ollie Gould. Just leave your expectations of the ocean at the door.